Clayton Christensen’s model of disruptive innovation; illustration by PLASTARC. Founded only six years ago, the coworking behemoth WeWork has already expanded from the U.S. into 14 other countries worldwide, and has garnered a $17 billion valuation. Given that Softbank, a multinational telecommunications and technology company, is on the verge of finalizing a $3 billion investment in the startup, that already jaw-dropping number looks poised to increase. With financial news like this, it’s no wonder coworking is causing such a shake-up. These forces combine to form a perfect storm, blurring the lines between “work” and “place” and cementing coworking as one of the disruptive innovations of our time. Named by its foremost authority, the Harvard Business School Professor Clayton Christensen, disruptive innovation “describes the process by which a product or service takes root initially in simple applications at the bottom of a market and then relentlessly moves up market, eventually displacing established competitors”. The above three forces constitute the type of sea change that is a perfect primer for that beloved occurrence known as disruptive innovation. PLASTARC sees coworking — from the workplace designs themselves to the occupant experiences they enable — as fitting squarely in this framework of disruptive innovation. The result has been a reshuffling and reconceptualization of the entire corporate real estate industry and how it delivers office space products to customers. Those who study the intersection of space, culture, and industry often point to public libraries and cafes as an early model of coworking, as they have offered space for retreat, career advancement, and social interaction within a geographic community. More defined coworking experiments emerged in the 1990s (well before the 2008 recession) — a time of great urban and civic investment in small and medium-sized enterprises, when cultural districts began hosting coworking and artist spaces to stimulate local economies. In the 2000s, the commercialization of coworking was propelled by the desire of young freelancers to avoid the social isolation of working at home. Around that time, discrete coworking ventures began functioning simultaneously in different cities: Cambridge Innovation Center in Boston (1999), Spiral Muse in San Francisco (2005), The Hub in London (2005), and Jellies in New York City (2006). These first generation coworking operators described themselves as places of community that “celebrated the culture of creativity and innovation”. In 2008, Adam Neumann and Miguel McKelvey joined forces to create a sustainability-focused coworking venue for entrepreneurs like themselves, called Green Desk. They sold Green Desk in 2010 and opened WeWork’s first location in New York City. In the past decade several macroeconomic and socioeconomic forces have helped catalyze coworking’s proliferation, adoption, and diversification. First, the knowledge economy has come into its own; second, a wide-ranging recession swept the globe; and third, increasing work tool mobility. Whether self-employed, unemployed, or back in school, people have been experimenting with working (or job hunting, or doing homework) in cafés, college campuses, public libraries, and even their own living rooms. When they arrived at, or returned to, a traditional work environment, many found themselves under-stimulated and ultimately disappointed by its shortcomings. As a result, many people have come to know a much wider array of workplace types and experiences than ever before. Being able to compare these different experiences has changed users’ expectations of the workplace at large. Many now prize performance over ownership, flexibility over consistency, and a sense of professional freedom over an established hierarchy. Driven by mobile technology and the cloud, people are able to work anywhere, enabling workers to have more autonomy over when, where, and how they work. This concept has coworking at its heart, and is becoming increasingly prevalent even within more traditional organizations. Companies of all ilks are shifting away from giving people devices, demanding that they use them, and regulating how they’re used; now, they’re simply facilitating employees using their own gear. Work tool mobility also blurs the boundaries between work and home, creating a new generation of employees and the resources available to them. This is creating user requests and challenges that enterprise has not experienced before. With social media becoming ingrained in daily life and people having greater awareness of products and availability, they have increasingly higher user experience expectations. With this shift in technology comes a shift in space: with an increase in tech user experience, comes an increase in user expectations of space — ranging from art to bathrooms. Users are demanding that their spaces be flexible, high-performance, customizable, on-demand, and technology-integrated. This consumerization of the workspace provides people with the agency to control and define their work environment. Another factor that helps makes sense of the recent explosion in commercial coworking is that it fills a service gap needed by both small and large companies. The number of freelancers in the United States is projected to grow from 34 percent of the workforce in 2016 to 50 percent by 2020. Alongside it, between 2011 and 2016, the coworking industry has boomed by nearly 300 percent. (For further nuance and additional perspectives on this trend, see Open Society Foundations’ fascinating knowledge map about the future of work — an inquiry that has taken on new intensity in light of recent political elections across the U.S. and Europe.) According to DeskMag’s 2017 Coworking Forecast, around 1.2 million people will have worked in one of the world’s 13,800 coworking spaces by the end of this year. Accelerators/incubators are generally funded environments with resources from civic, academic, or venture institutions. Membership is by application or award, or is included as part of a venture investment. Colocation occurs when partners and collaborators are invited into existing spaces to advance relationships. The historical example of this is the consultant who works beside their client in order to improve the delivery of their services. Extended corporate space occurs when a consulting or technology firm offers their space to individuals or groups who host hack-a-thons or other events; this helps the firm connect to a wider community. This typology is pursued by a variety of brands, particularly those that are not consumer-facing, as it can work to strengthen brand recognition. Coworking in its most familiar iteration. These ventures offer space and business support services to public and commercial occupants for a monthly fee. The size, speed of change, back-of-house simplification, the ability to co-purchase premium locations, and improved knowledge management are highly valuable to not just freelancers, but also to small, medium, and large businesses. It offers value for enterprises of all sizes. Coworking can offer organizations many advantages, relating to both size and change. For example, a coworking space might be able to provide an industry-aligned and premium street address to a company or individual who would otherwise be unable to afford real estate in that neighborhood. By pooling together their resources with fellow members, a group of small-scale organizations can collectively afford to be close to their clients and collaborators. (This is part of a larger organizational advantage of coworking for businesses of any size that can be characterized as risk aversion.) 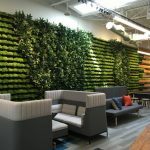 Additionally, many coworking operators give members the flexibility to scale up or dial down their space requirements in light of enterprise contingencies. That means you could move into a bigger space when things are going well, or downsize in response to a particularly slow quarter. Less assumed risk and more agility are valuable affordances for small, young companies. Furthermore, coworking has become a customer service-centric workplace model that takes care of numerous back office logistics for members so they can focus on the growth of their business. Everything from IT services like printing and wireless to mailroom logistics, or the provision of healthy snacks might be managed by today’s coworking venues. Beyond these duties, the highest-performing operators are investing in community management as well as facilities management. They might employ events, like lunch-and-learns and networking happy hours, along with tangibles like free coffee or beer to attract and retain members. The benefits of coworking, however, are not limited to small businesses and independent workers: big business is also waking up to its significant organizational and individual occupant benefits. Coworking can offer large businesses improved employee experience, the availability of multiple locations for their distributed teams, and the opportunity to sit shoulder to shoulder with smaller businesses, which can enable them to better understand a specific segment of their customer base. A great example of coworking’s growth into blue chip companies includes Verizon, who has begun tapping into the benefits of coworking by launching their own coworking space in London. Concurrently, Bayer Pharmaceuticals is rolling out incubator space for life-science start-ups near their R&D facilities in San Francisco and Berlin. Microsoft is renting office space from WeWork for 300 of its sales staff in New York City and for a 37-person team in Atlanta. The arrangement will provide these employees with access to 30 different office buildings throughout NYC, allowing for maximum flexibility to work between client appointments in different locations or to host meetings wherever it’s most convenient. Mozilla, builder of open-source software, has incorporated “front porch” space where non-employees who contribute to their product can come in and connect with its dynamic community of developers face-to-face. These cases are further evidence of the ways in which the coworking industry has disrupted how we think about the boundaries between work and place, corporate and shared. Part of what the rise of coworking and its intersection with corporate real estate have highlighted, on the organizational level, is that the boundaries between corporations and place are changing. Companies have historically been bound by space, but are now moving toward reducing their footprint and leveraging off-site work locations. As companies retract, the many benefits that were previously considered to be part of the social contract between employers and employees are being rebuilt via coworking community services. Corporations across industries, sectors and geographies are leveraging off-site locations and opening their own excess space to non-employees, reaping the benefits from brand to flexibility. Coworking is able to offer so many benefits to organizations because it offers so many benefits to the building blocks of organizations: individuals. People are social creatures. Whether it’s working from home, enclosed offices, or the classic “tall cubicle,” any isolating space type can go against the grain of our inherent sociable nature. A workplace psychologist once reminded us that the receipt of bad news is softened by having others around us to share the grief, and that the receipt of good news is made more joyful by having others around us with whom we can celebrate. The industrialized cubicle has taken some of this helpful sociability out of work, but coworking is putting it back in, through both its physical design typologies — such as the use of glass for greater transparency, which increases interaction with others, breeding both social and business benefits — and its investments in cultivating community. The rise of coworking today is also an illustration of the aforementioned cultural shift in individual consumers’ preference from private ownership to improved, on-demand performance. This shift accounts for much of the rise of the sharing economy as whole: what some refer to as the “Uber-ification” of the marketplace. The suitability of coworking to people’s inherent psychological drivers as well as to current shifts in consumer behavior is reflected in the diverse marketplace of workplace products and services that’s developed in the past decade. We can see that coworking not only works for people, but that people also work to make (or break) coworking. The industry has gained its astounding popularity through individuals (not massive companies) “voting with their feet”. If someone becomes dissatisfied with a coworking operator, he or she can simply pick up and switch to any of a variety of competitors. This immediate feedback system quickly weeds underperforming operators out of the mix, and keeps coworking’s innovations coming. The product itself is quite literally changing the marketplace. All of these factors underlie PLASTARC’s perspective that coworking is a reflection of the growing emphasis on increased individual autonomy, choice, and experience. Discrete offerings of flexibility like adjustable furniture are no longer sufficient for ideal occupant experience. As we say, ”a deeper version of control is required” — users want control over choosing when, where, and how they work. How do we reconcile our findings and predictions (and those of our peers) with the skepticism that coworking is merely a fad and that the bubble will burst? Some critics argue that such intense growth cannot continue and that providing a “trendy atmosphere” will not be enough in the long run, while others suggest that many providers are not prepared for dealing with decreased business in an inevitable downturn. Others are skeptical of the coworking promise of “community”, and express concern that an overemphasis on this social element will lead to a new form of “groupthink” that actually deters rather than engenders original thinking. Still more conclude that the many events and networking opportunities offered by coworking spaces are more of a distraction than a draw. Warts and all, industry experts still forecast that growth will not subside, and that the next phase will entail massive “turnkey coworking” solutions in which properties are converted from fixed, large tenants with massive real estate footprints to open, membership-based, multi-company spaces operating on a month-to-month basis.